So this is a cop out Halloween costume as it was just my excuse to wear a wedding dress and veil. I wore it to work minus the net curtain veil hah, its funny how if you dress 'flamboyantly' everyday of the week how little people notice when its Halloween. Except when I started to walk into my work building and the fire alarm was going off so had to meet all colleagues at the fire point at which point I was the only one dressed up aha, life is too short to not have fun. Hope you are having a wonderful night my precious lil devils. Note our new blue walls in the front room! People can be so dull, how sad to be the only one frocked up, but it makes you the most memorable! I adore that collection from Dior/Galliano (?) and I adore Edie Sedgwick and Little Edie so of course I adore your look! Me too! thank you so much! 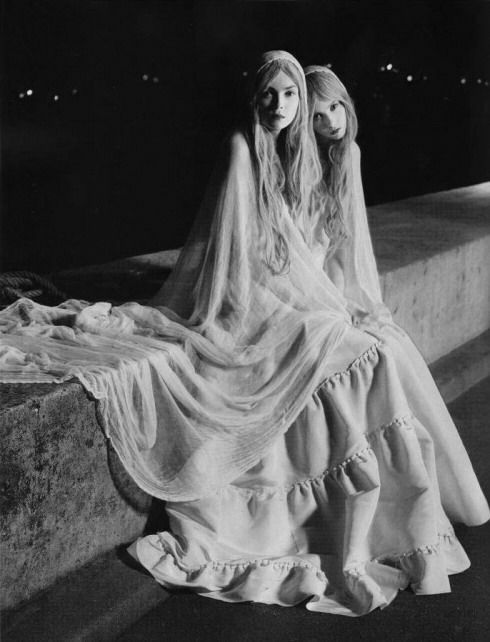 Hauntingly beautiful... what a great look, especially with your gorgeous skin. Love that wall color, I might just need to paint my hall this color! Oh wow Hannah you look wonderful! And your home is looking just as beautiful too! I love it all gorgeous girl! Happy belated Halloween to you! ah, i love your costume! these images are so inspiring and you re-created it in your own way and so well! You look so hauntingly, incredibly beautiful. 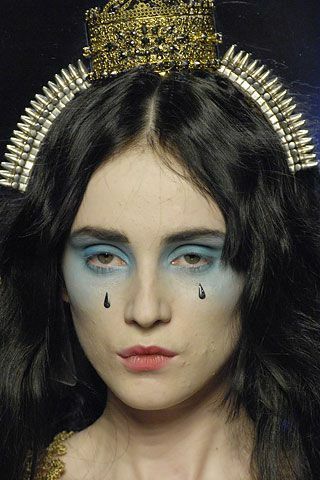 I adore your makeup and the styling at work in this awesome Halloween costume. You do look like a true madonna and , as Jessica says, incredibly beautiful. You are an inspiration, dear Hannah.